Buckmore Park is known for being one of the most advanced kart circuits within the UK and Europe. 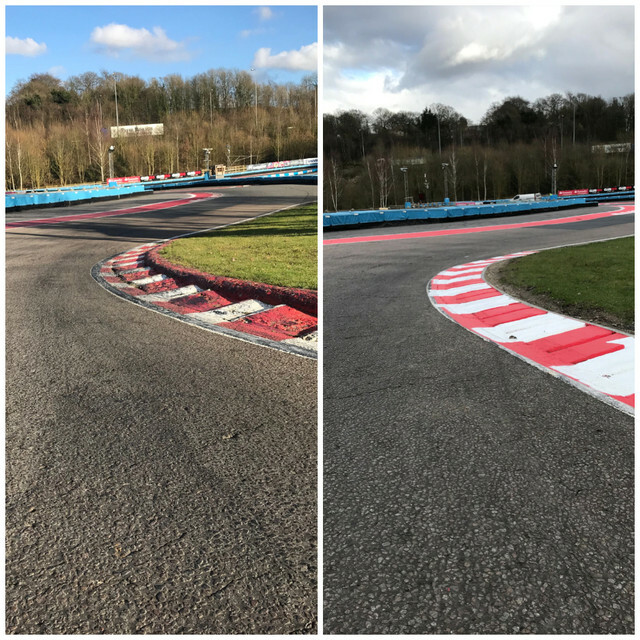 To retain that reputation it is important that the Circuit undergoes constant development to ensure we maintain that high standard throughout. Recently we have undertaken works to the Kerbs at Symes Sweep and Cafe Curve. As you may know, both of these high-speed corners had raised sausage kerbs on the inside which meant that the incorrect use of the kerb could lead to an unstable kart and an uncomfortable exit to the corner for a driver. These kerbs have now been removed and rebuilt. They have been made slightly flatter with the removal of the sausage kerbs as seen below. This will make the circuit more aesthetically pleasing but also less aggressive for both driver and kart. 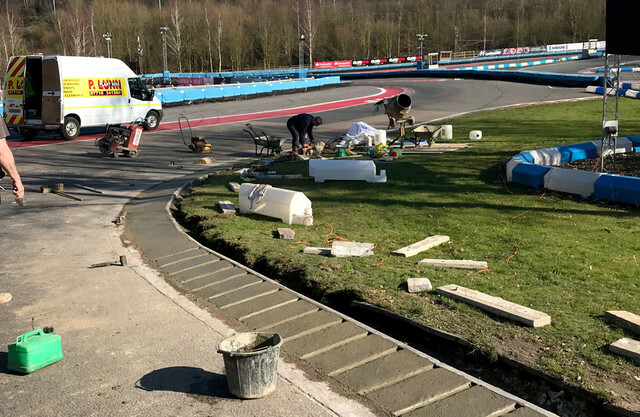 We're always looking at ways we can improve and this is just one of the many recent developments that will hopefully ensure all of our visitors have a fantastic experience at Buckmore Park.